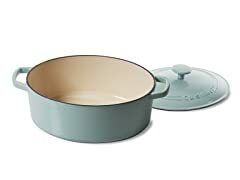 $49.99 Cuisinart 5.5 Quart Cast Iron Cassarole Pan with Lid, Porcelain Enamel Exterior - dealepic . This Cuisinart 5.5 Quart Cast Iron Cassarole Pan comes with Lid. 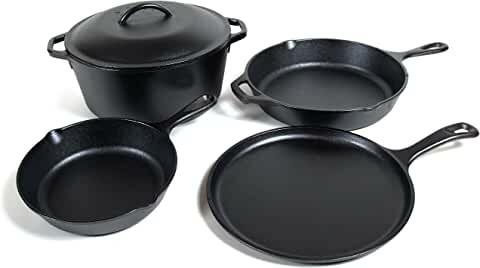 Cast iron improves its solid reputation with Cuisinart Chefs Classic Enameled Cast Iron cookware! Home chefs can explore different cooking methods ? from searing or grilling in the pans to slow braising or simmering in the casseroles. With incredible heat retention and even heat distribution, these versatile pieces yield great results whether it is on the stove or in the broiler or oven. They also can go from oven to table and double as elegant serving pieces!